Very clearly stated. 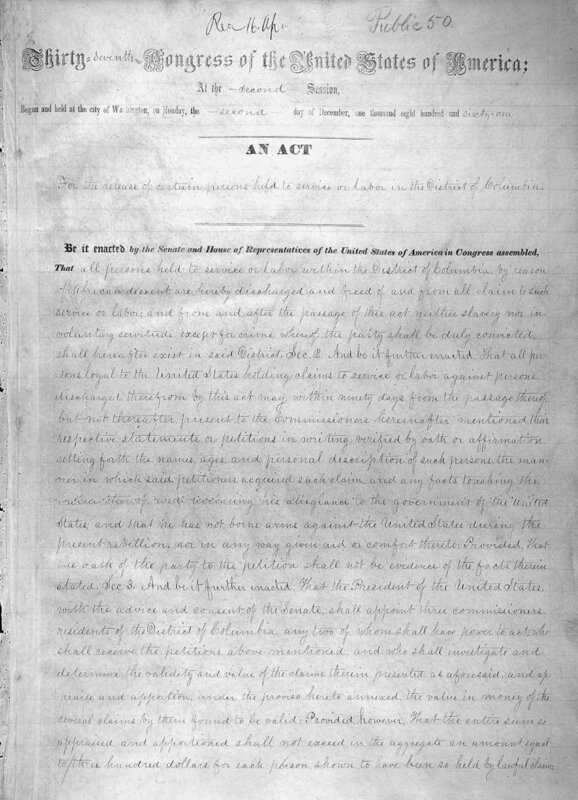 I had just read about this 1862 DC Emancipation Act in an article in the NYTimes the other day. I think the article was "The Emancipation of Lincoln." In other words, his thinking evolved about how to free all the slaves, and at first he thought about compensation. I assume that records for the 1865 emancipation, after ratification of the 13th Amendment, are elusive or nonexistent in the chaos that was Reconstruction. You missed one other time that slave owners were compensated. When the Bureau of Colored Troops was established, provisions were made to compensate loyal slave owners in the border states whose slaves joined the U. S. Army. Each of the states was to appoint a "slave claims commission" to hear claims for compensation. The only state to organize a commission in 1863 was Maryland, and the program was suspended before the other states organized their own committees. It was later reinstituted after the War, and thousands of claims were accepted in Maryland, Delaware, Kentucky, Missouri, Tennessee, and West Virginia. However, Congress again stopped the program completely in 1867. Of the thousands of claims, only the first claims from 1863 in Maryland ever actually received compensation, amounting to about 20 or fewer claims. Thanks Michael. I really didn't miss this fact, but I was concentrating on the DC Emancipation and the posts was getting too long. But,thanks for reminding all of this historical bit. The more we share, the more we know! Mariann, with the celebration of the Emancipation Stamp, this has become a popular topic lately. I have located quite a few emancipation records. I most often find them in passport applications, seamen's records, and military pension records. 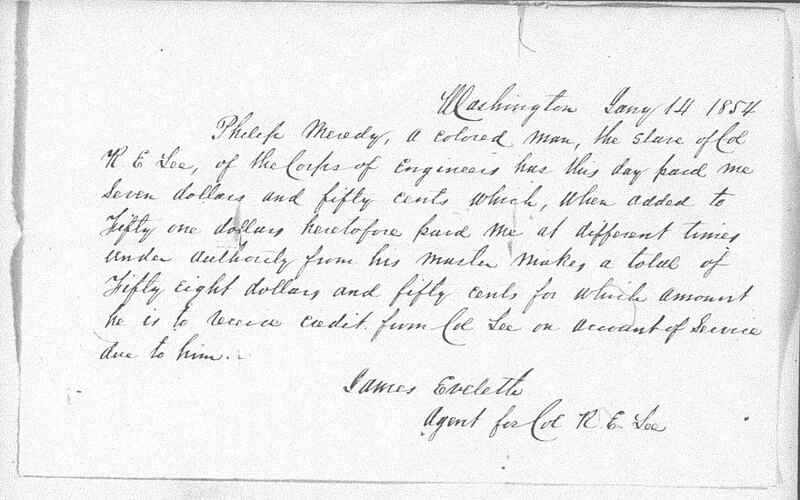 But, also there are emancipation and requests for compensations in slave holder records and in the Freemen's Bureau. The Congressional Serial Set, although usually earlier, also holds a few documents of compensation.